I'm not sure how many people out there still buy regular Guidebooks. However, Collector Guidebooks are a bit more special. These CE Guidebooks come with some cool extras, a few dozen pages of exclusive artwork, maps and other extras. Certain CE Guidebooks also come with some form of physical bonuses like Exclusive Lithographs and even a Pendant as we saw in The Last of Us CE Guidebook. The answer: A even more Special Edition of the Collector's Guidebook. Since AC2, there's always been a Collector's Guidebook for the Assassin's Creed Series and true enough, there's a AC Unity: Collector's Guidebook. Not good enough apparently, there's now a Initiate Edition which contains the Collector's Guidebook and several other goodies for the collector-hungry fans. 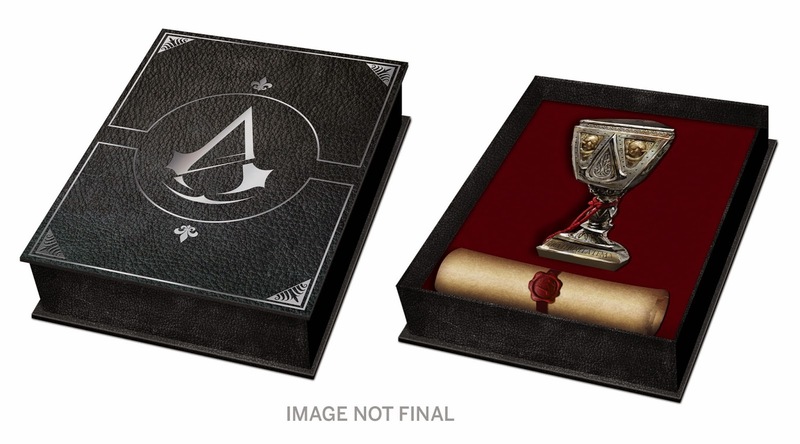 The Initiate Edition also comes with a Weathered Box embellished with the Assassin's crest, which contains a Mystical Chalice and a rough, edged sealed Scroll bearing the Assassin's creed. Very cool stuff! Does this mean that we will see the initiation process of an Assassin in the AC: Unity game? Most probably, Arno? These could be the items used during the initiation process. I saw this a couple of weeks ago and was thinking that this could be one of those rare items that would be given to Developers or certain people in the industry. Thankfully, these will be sold at retail and available to a regular collector like me! A definite buy for me. 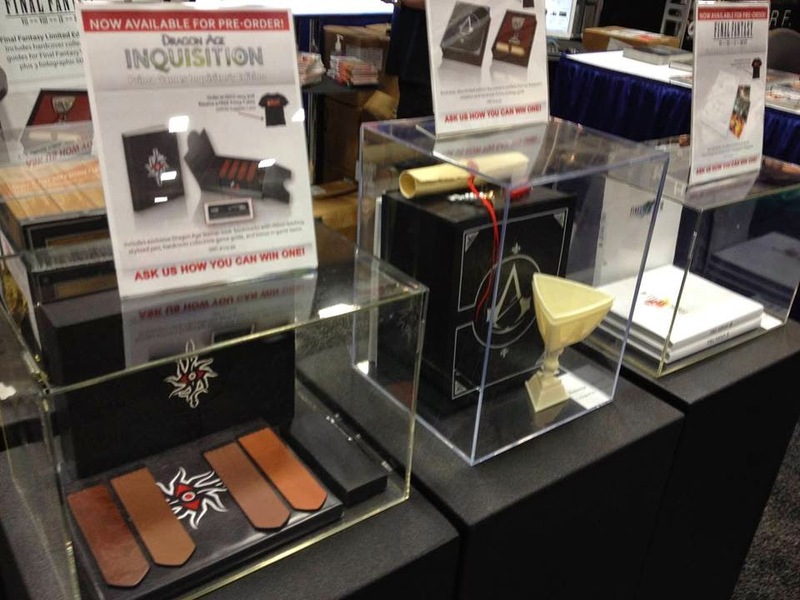 Here's a Prototype pic of the Initiate Edition shown at SDCC 2014 that I found online. All credits to the photographer.